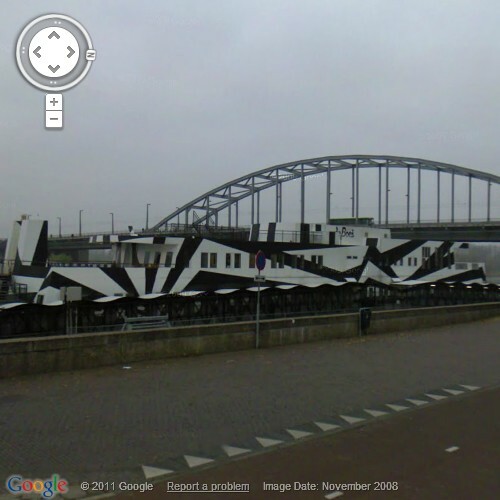 Docked near the historical and famous Arnhem Bridge is a Razzle Dazzle ship. The bridge was scene of bloody battle during the WW-II when British paratroopers during the ill-fated Operation Market Garden had landed here in September 1944 with the aim to secure the bridge. Hundreds of Paratroopers had died or captured in the failed attempt. The history of the bridge has been immortalised in the book, "A Bridge Too Far" and a film of same name. 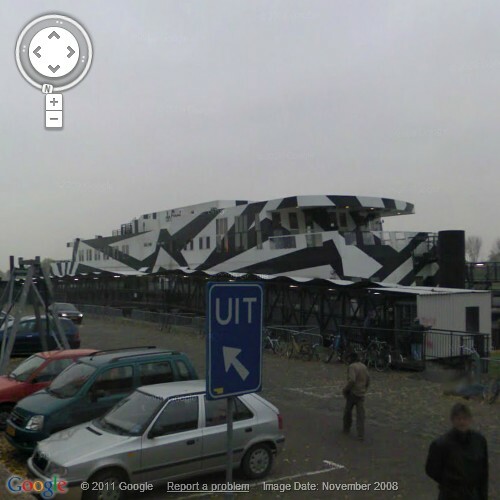 The Razzle Dazzle ship has nothing to do with this historical event, rather it provides day and night shelter to the drug addicts and acts as a rehabilitation centre. 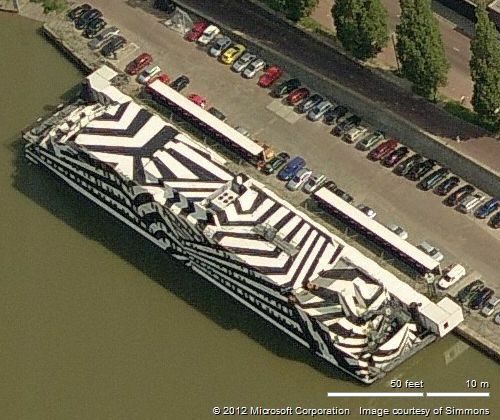 Built in 2004 by the Dutch firm Scheepswerf De Grave, no one knows the reason why the authorities chose to paint the ship with such black and white stripes and geometrical figures. 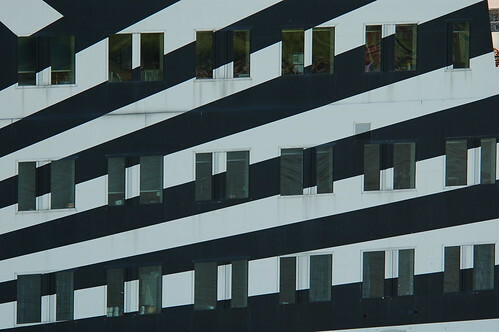 The technique of using such painting, known as Razzle Dazzle was generally employed by military as camouflage paint during the two World Wars. If the intention of the authorities was to hide the ship from peeping eyes, they miscalculated and failed in their objective miserably. The ship draws lot of attention from the tourists, especially those who visit the bridge due to its historical importance. Many think it is part of war history and want to visit and photograph it. Ship's name "De Boei" (meaning the buoy) is also a mystery and no one knows how it relates to its purpose. However the locals very appropriately call it "Speedboat". Right from the very beginning there has been opposition to mooring the ship at this location. It is now understood that plans are afoot to relocate it some where.